Poseidon, today, is regarded as one of the most important gods of Ancient Greece; and is often referred to as one of the “Big Three”, alongside his brothers Zeus and Hades. In simplistic terms, Poseidon was indeed one of the most important gods of the Greek pantheon, for the Greek god Poseidon had dominion over the world’s waters, and was therefore a Greek god of the sea. The story of Poseidon begins in the time of the Titans, the “Golden Age” of Greek mythology, when Cronus was the supreme ruler of the cosmos. Cronus was wary of his position though, and in order to avoid his own offspring from challenging his rule, he swallowed them, imprisoning them in his stomach, as soon as they were born to his wife Rhea. So, Poseidon would join his siblings, Hestia, Demeter, Hera, and Hades in Cronus’ stomach; and only a sixth sibling, Zeus escaped that fate. In a lesser told variation of the story of Poseidon’s birth, Poseidon, like Zeus, escaped imprisonment, when Rhea substituted a horse for the newborn Poseidon; Rhea swearing to her husband, that she had given birth to a colt instead of a son. Poseidon was then spirited off to the island of Rhodes, where he was raised by the Telchines. Zeus was raised to maturity on Crete, and then Cronus was tricked into consuming a potion which caused the regurgitation of all those imprisoned his stomach. 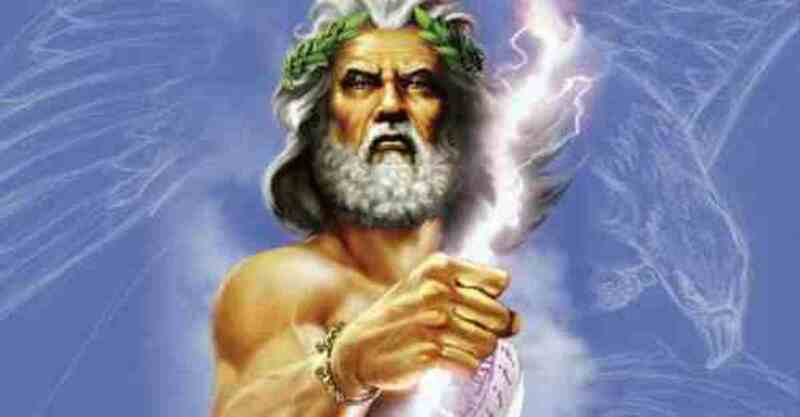 Poseidon would then join Zeus and Hades as the start of a fighting force, and the Titanomachy was to begin. The children of Cronus sought to usurp him; and when Zeus released the Cyclopes and the Hecatonchires from Tartarus, they now had an army to compete with the Titans. The Cyclopes would make the weapons of the gods, and it was at this time that Poseidon was presented with his Trident, a potent weapon and symbol of his power. Details of the ten year war have not survived into modernity, but it is known that Zeus, Poseidon and Hades were ultimately successful in the war, and the defeated Titans were punished as a result. 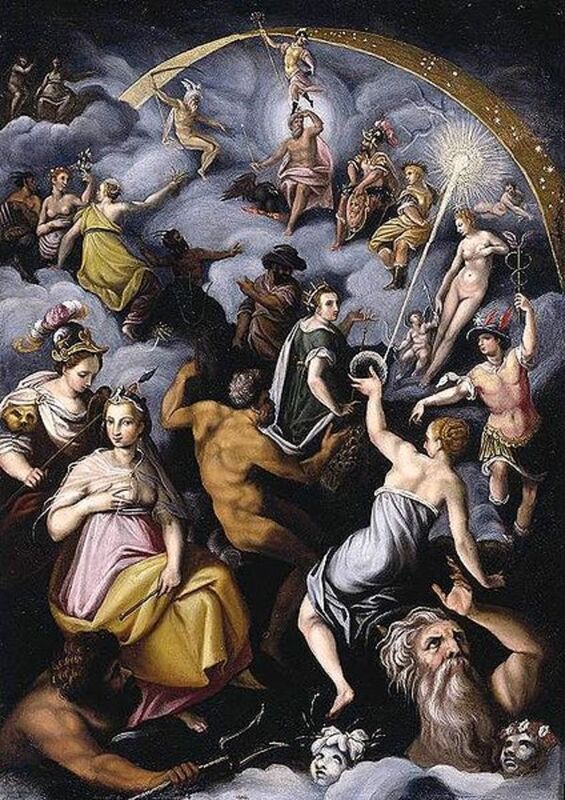 After the end of the war, the cosmos was then divided up amongst the three brothers; through the drawing of lots, Hades was given dominion over the Underworld, Zeus had control over the earth and sky, and Poseidon was given rule of the water. Water was an essential element to Ancient Greeks, and of course without fresh water mankind could not survive, but also the sea provided food and mobility, so it was only right that there was a powerful god associated with it. Before the rise of the Olympians though, there were already powerful gods associated with the world’s waters, including the likes of Pontus, Nereus and Oceanus. 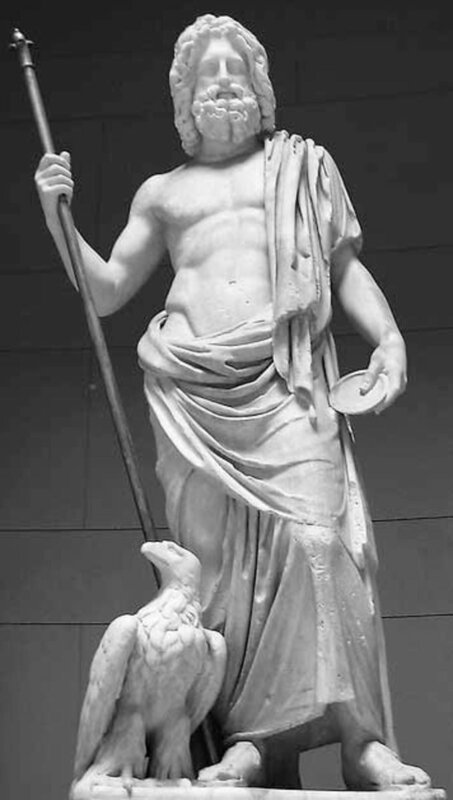 Oceanus in particular was a highly regarded god, the ultimate source of all freshwater, and so as a compromise, Oceanus remained the god associated with the great, earth-encircling river, and Poseidon became more closely associated with the saltwater of the Mediterranean Sea. Poseidon would be considered one of the 12 Olympians, and would have a palace and seat of power upon Mount Olympus; the Greek god of the sea though, would also have a second palace within his domain. This was a palace beneath the waves, made from coral and gems, and was to be found near to Aegae. Poseidon would travel to and from this palace in a magnificent chariot pulled by hippocampus. As well as the Greek god of the sea, Poseidon was also the god of earthquakes and horses. 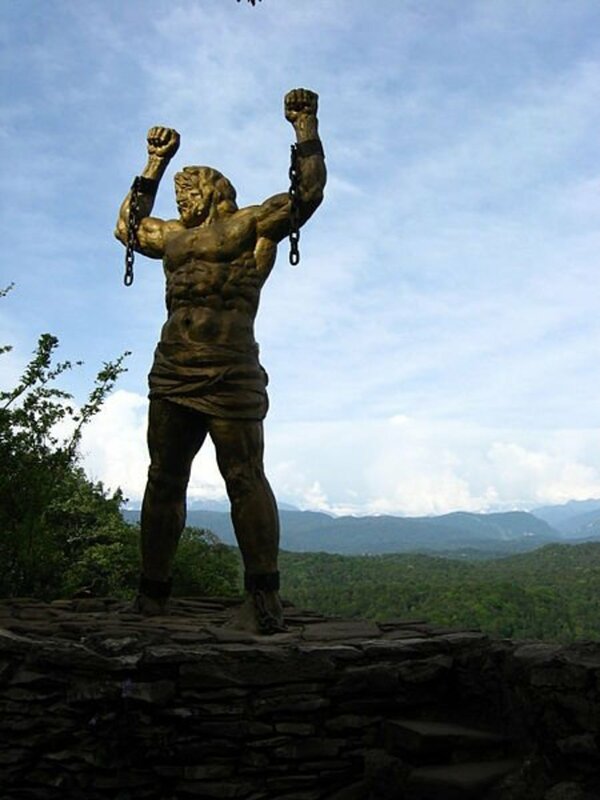 The early days of the rule of the Olympians was not necessarily secure, and an early threat to this rule occurred when the Gigante, the giants of Greek mythology, rebellion. The Gigante had been born when the blood of Ouranus had fallen onto Gaia, and it was their mother who encouraged their revolt. There were said to be 100 powerful Gigante, and they were evenly matched against the god of Mount Olympus. Indeed, it was ultimately only the additional help of Heracles that saw the giants defeated. During the Gigantomachy though, Poseidon took an active role in the fighting, and it was the god of the sea who defeated Polybotes. Poseidon pursued his opponent across the water, before burying Polybotes beneath the rock Nisyros, creating the tip of the island of Kos. Poseidon though was not always a protector, and on more than one occasion the god of the sea would attempt a rebellion against his brother. One such attempt saw him teaming up with Hera and Athena. 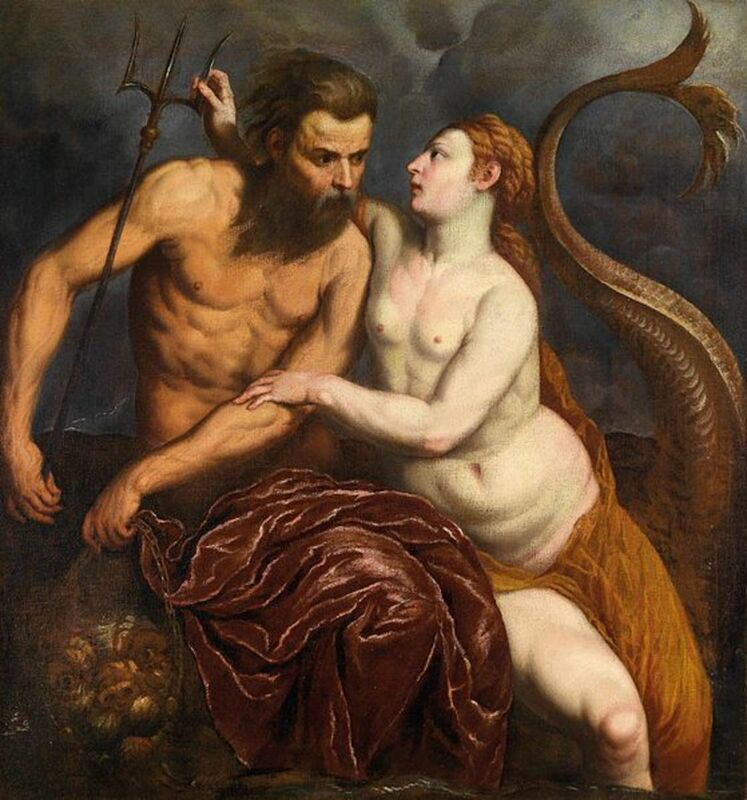 Poseidon’s plot was discovered by Thetis though, and she called upon the assistance of the Hecatonchire Briareus. Briareus would come and stand by Zeus, acting as a bodyguard, dissuading the other Olympians from continuing with their plot. 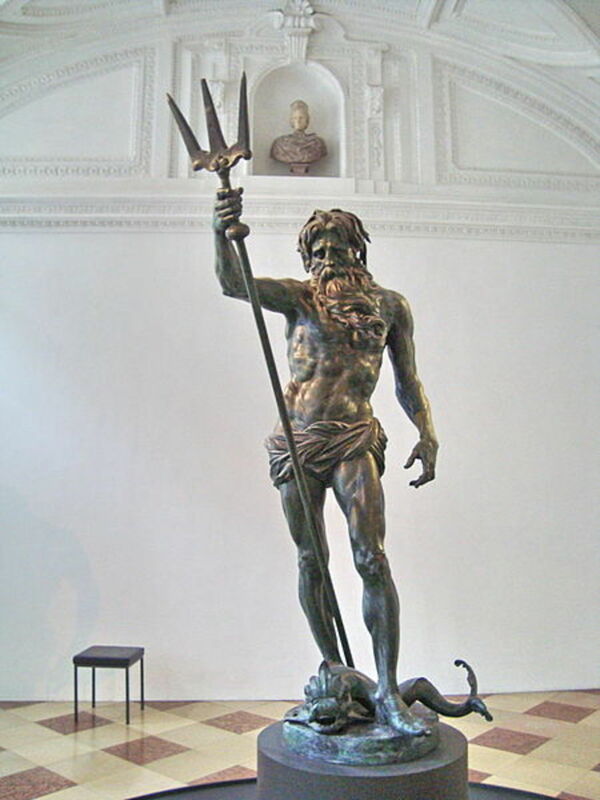 Poseidon was actually a central figure in relatively few stories in Greek mythology, although some of the more prominent tales saw him in dispute with other gods. These disputes were often about who would be the principal deity of a city or region. One such dispute occurred in Corinth, when Helios and Poseidon both vied for the land. Ultimately an agreement could not be reached, and so the Hecatonchire Briareus was brought in to adjudicate. Briareus decided that Poseidon be given the Isthmus of Corinth, whilst Helios was given the heights looking over Corinth, the Acrocorinth. Another dispute occurred when Hera and Poseidon argued for patronage of Argos. Again arbitrators were brought in, this time they were the three Potamoi, river gods, Asterion, Cephisus and Inachus. This time though, despite supposedly being the king of the Potamoi, Poseidon ended up with nothing, for the river gods sided with Hera. In an act of retribution, the three rivers were cursed to dry up with the coming of hot weather. 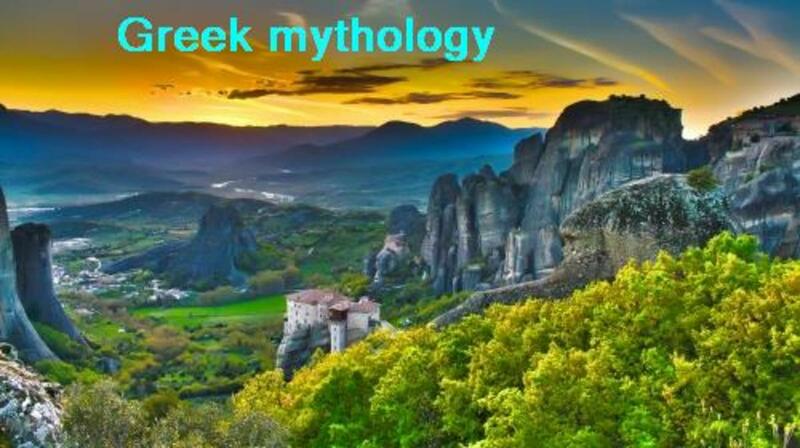 Probably the best known argument came when the allegiance of Athens was decided, a city both Athena and Poseidon wanted. A competition between the two gods had to be undertaken to decide the rule; a competition based on the gift offered to the city by the gods. Poseidon offered his gift first, and with a strike of his trident, a spring was brought forth on the Acropolis; the spring though was salty in nature, and unfit for drinking. 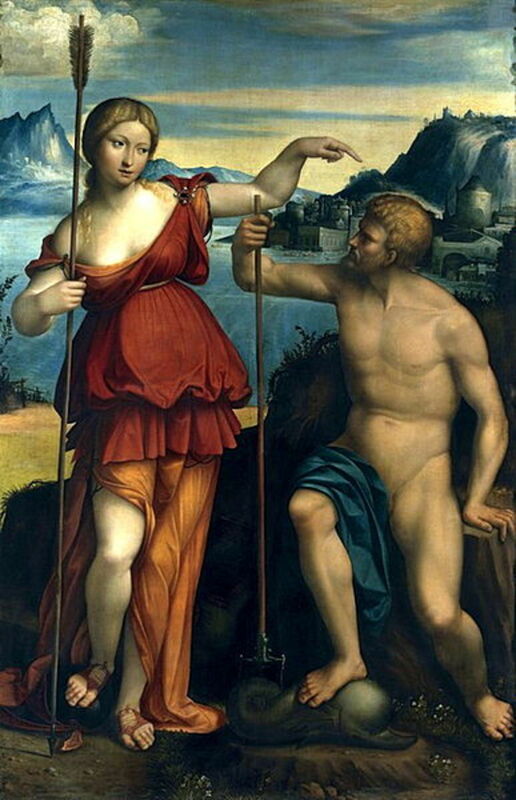 Athena then offered her gift, a gift which proved to be the olive tree, a gift that could provide food and firewood. Thus Athena was chosen to be the patron of Athens, with the city taking her name; in retribution, Poseidon would flood part of the Attic Plain. 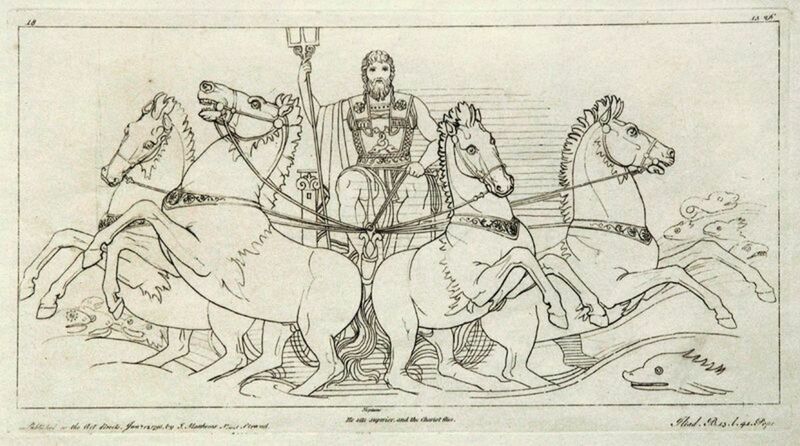 Athena and Poseidon did subsequently work together, to come up with the idea of horse drawn chariots. Poseidon could be beneficial to those who favoured him, but as with most gods he was also easy to anger, and Poseidon was given the moniker of Earthshaker for his shows of temper. Queen Cassiopeia of Aethiopia would one day proclaim that she, and her daughter Andromeda, were far more beautiful than the Nereids; the Nereids being the water nymph retinue of Poseidon. This boast angered both Poseidon and the Nereids, and so Poseidon dispatched the sea-monster Cetus to Aethiopia. 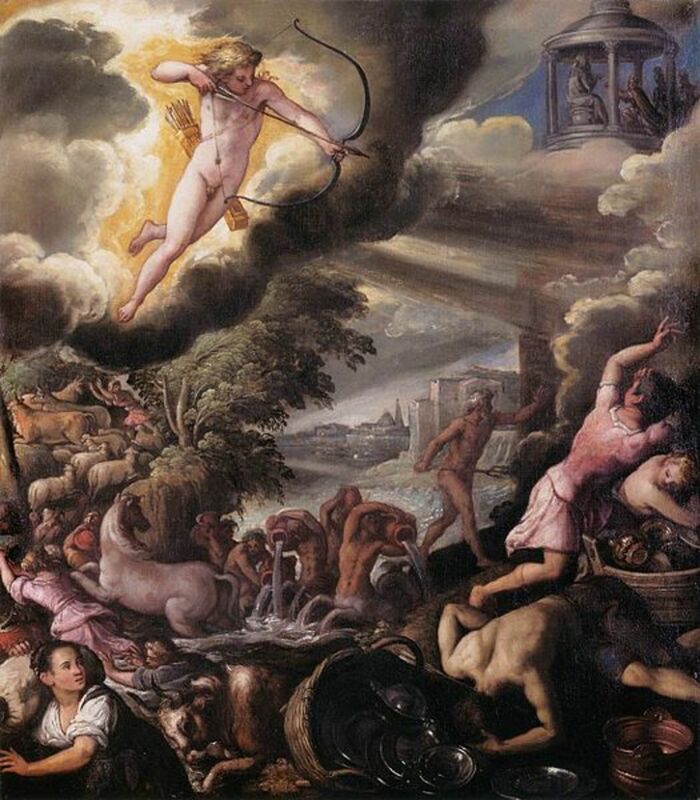 Aethiopia would only be saved from the dangers of Cetus if Andromeda was sacrificed; although in the end Perseus came along to kill Cetus and save Andromeda. In another story of vengeance, Poseidon and Apollo were once exiled from Mount Olympus for plotting against Zeus. The pair would arrive at the city of Troy in disguise, and the king, Laomedon, would subsequently employ the pair. Apollo would tend the livestock of the king, whilst Poseidon was employed to build the new defensive walls of the city. When the term of employment came to an end, Laomedon though refused to pay the two workers. In retribution Apollo sent a plague on the city, whilst Poseidon sent another sea monster to attack the city and its inhabitants. Troy would only be delivered from strife when Heracles arrived at Troy. This was one of the reasons why Poseidon would aide the Achaean forces during the Trojan War, and would even take to the battlefield with the Greeks on several occasions. Not all the Greeks though were to be aided by Poseidon, for after the war, Odysseus was persecuted by the Greek god of the sea; Odysseus having blinded Poseidon’s son Polyphemus. The Cyclops Polyphemus was just one of Poseidon’s children though, and Poseidon was said to have had almost as many affairs and offspring as his brother Zeus. Poseidon was married to the Nereid Amphitrite, and together the pair would become parents to Triton, a merman who would become a messenger of Poseidon. Poseidon though, would also sleep with many other partners. One such partner, albeit an unwilling one, was Medusa, who was raped by the god of the sea in a temple dedicated to Athena. In retribution, Athena turned Medusa into a monster, but Medusa was already pregnant by Poseidon, and when she was finally decapitated by Perseus, the winged horse Pegasus and Chrysaor were born. 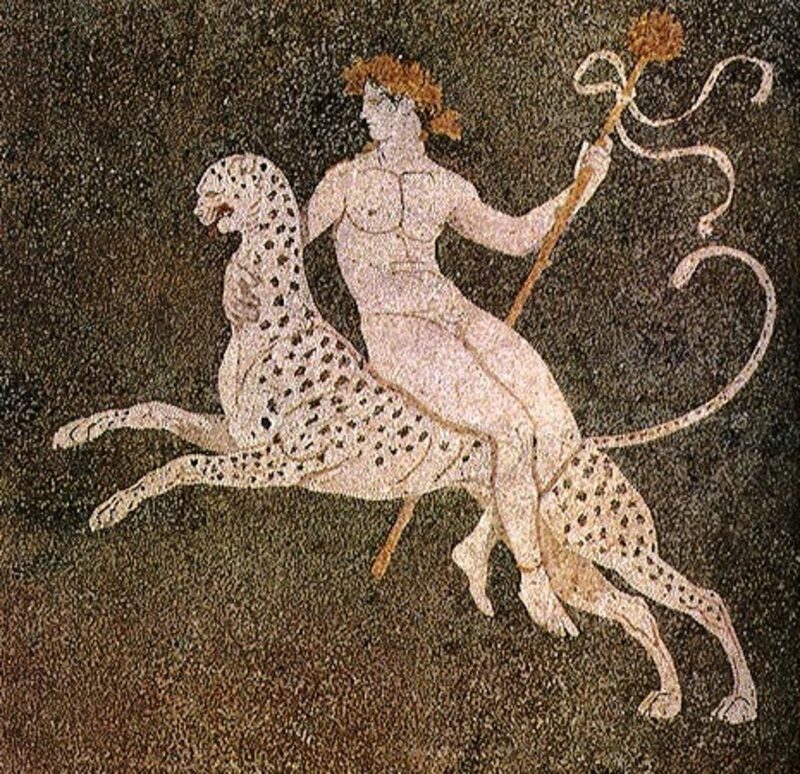 Poseidon was also father to another famous horse, for Arion was a child of Poseidon, born when Poseidon slept with Demeter; Demeter having turned herself into a mare to avoid Poseidon, but Poseidon had changed himself into a stallion. Not all of Poseidon’s offspring though were mythical creatures, and the Greek god of the sea was father to a number of demi-gods, the most famous of whom was Theseus. The life of Theseus was intertwined with that of his father, for the son of Poseidon would wrestle the Marathonian Bull, a beast dispatched by his father, and also would kill the Minotaur, the beastly offspring of the same bull.